6.5 Million Passwords Compromised – Don’t Let It Happen To You | Best Marketing Techniques - Discover The Best! If you have a LinkedIn account then this article is of a great concern to you. You might have heard or read that 6.5 million passwords from LinkedIn were leaked. If you didn’t change your LinkedIn password yet then stop reading this article for a minute, change your LinkedIn password to a very strong one and come back! For the moment, it doesn’t matter what information the hackers found or what they were looking for. What matters is that a very serious issue has been exposed regarding online security. 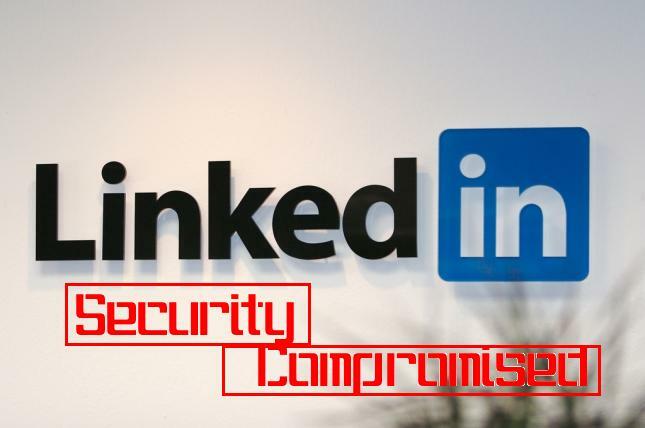 There are more than 150 million users on LinkedIn which means that your chances of getting your password compromised are not more than 4%. Some of us might think that 4% is not such a big deal but think about this fact for a moment that the password you use online is a gateway to very important information and it is important for you to take action whenever the safety of your password is threatened. Even you if have checked your account and didn’t notice any suspicious activity, it is better to change your password to feel safe especially if your password is not a very secure one. Secure password is very important and many of us make a huge mistake while choosing passwords for our accounts. A secure password is a combination of both capital and small letters along with numbers and characters. Another mistake many people make while creating online accounts is using the same password everywhere which is very insecure and easier for the hackers to hack into every single account of yours. Another problem which many folks face is of remembering different passwords especially when they are a good mixture of everything on your keyboard. There are many websites and apps over the internet which offer services in password protection. They allow you to create and save different secure passwords for all of your online accounts. You are guaranteed safe storage of everything and you can access your credentials whenever you like. I will recommend Roboform, Lastpass, Passpack and Mitto. I changed all of my passwords following the recent password leak of LinkedIn and I made the same mistake of choosing similar password for all of my social networking accounts. I personally use Lastpass to manage my passwords and it provides me with the feeling of being safe and secure. All of such services also provide you with the option of auto-login so there is no need to shake your head by remembering your complex passwords. This entry was posted on Friday, June 8th, 2012 at 11:49 am and is filed under Internet Marketing, Marketing, Social Media Marketing. You can follow any responses to this entry through the RSS 2.0 feed. Both comments and pings are currently closed.